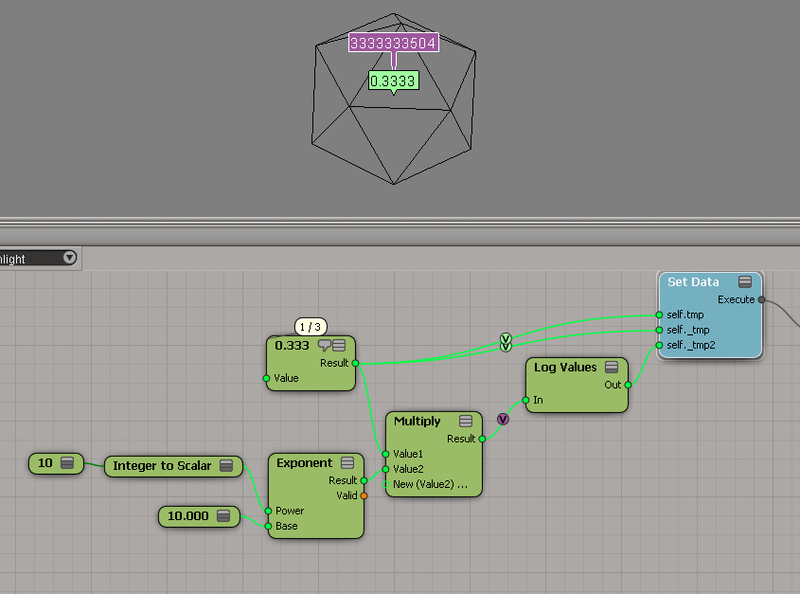 One way to display the attribute value with greater precision is to use the Log Values node, and multiply the attribute value by some power of 10 (to get more digits). Hat tip to Leonard Koch for that suggestion. You could also use scripting. 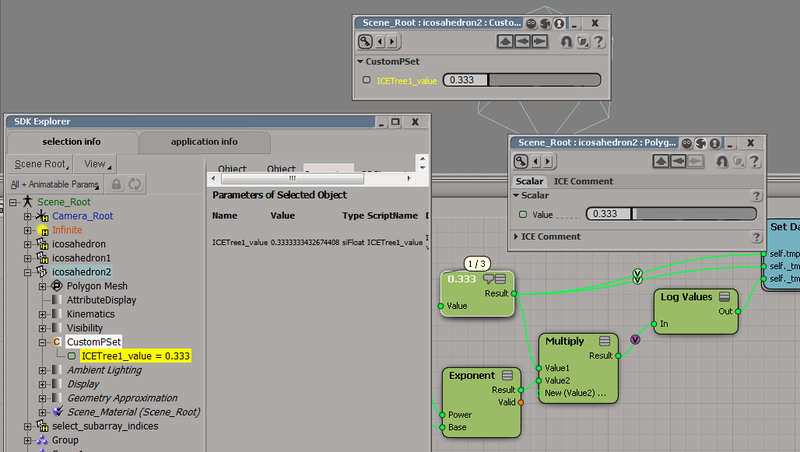 But note how I get 0 for the attribute named _tmp, even though it is clearly set to 0.3333333333333 in the ICE graph. This entry was posted in ICE and tagged FloatingPoint, ICE, Softimage by xsisupport. Bookmark the permalink.